IL VILLINO ROSA - An estate touched by some of the most influential architects in Pasadena’s history, this San Rafael area home is a gem of Italian Revival Architecture. The estate is credited to the conceptual genius of Reginald Johnson of Johnson, Kaufman and Coate, Architects. 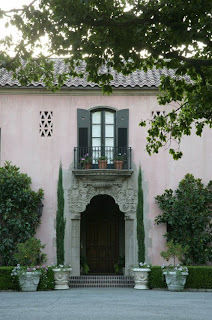 Barring an addition to the North side of the house, between 1931 and 1956 by Sylvanus Marston, the house is reflective of Johnson’s love for the Mediterranean style. As an architect he was responsible for the Four Seasons Biltmore Hotel Ballroom, and the Mediterranean revival design of wealthy locations in Montecito, and Santa Barbara. Today as inspired its history, the estate stands ready to blossom again as on the of the most majestic homes of Southern California. A breathtaking 1920’s Reginald Johnson Mediterranean Revival estate with four and one half of gardens overlooking the Arroyo Seco and San Gabriel Mountains in Pasadena California, is the scene of the most recent renovation, update and restoration work by internationally recognized landscape architect Heather Lenkin, AIA, ASLA. In addition to being a family home, the home has been featured in films, books and magazines – as early as 1931! Following in the footsteps of an amazing cast of incredibly distinguished architects and landscape architects who have already worked on the property, Lenkin was hired in 2008 to breathe life again into the fantastic grounds. The landscape was originally conceived by F. Garvin Hodson in his 1919 drawings of the estate. From 1915 - 1930 world-renowned German landscape architect Paul Thiene worked his magic on the property. Subsequent architectural work was performed by the offices of Marston, Van Pelt & Maybury, in 1930. The present owners worked with the highly respected landscape architect Ruth Shelton in 1988 when they purchased the home. 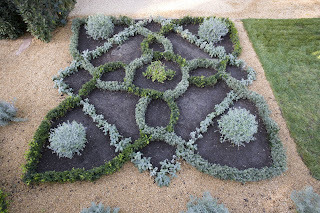 Lenkin’s interest has been in recreating the original grandeur of the landscape, whilst adding drought tolerant and California native plant material to the landscape. She found much inspiration in the work of the original architects landscape design linking the home and the gardens in a formal Italianate manner. She wisely divided the property into manageable projects with five separate zones. The formal entry is on axis to the front door, and still contains the original 80’ long boxwood hedges lining either side of the drive. The main entry to the home stayed true to its original concept of a vast courtyard entry to the two-story home surrounded by lush trees and foliage. The guest compound includes with private walled gardens and a walled orchard. The orchard has been renovated and updated, and now includes a 15th century knot gardens with herbs as well as a spring garden that contains hundreds of bluebells, and a desert inspired ‘inferno’ garden. 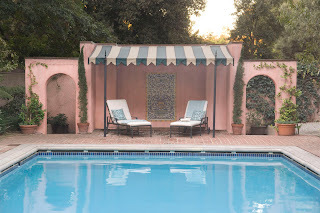 A walled pool area, part of a feature in a 1931 Architectural Record article, has been updated by restoring the original tiles and fountain and recreating the original awnings. A gazebo has been tucked into a hidden corner of the area and hides a very wonderful modern spa. A secret garden on the south side of the house contains the original fountain created by Paul Thiene, and leads to a beautiful green lawn area with a spectacular view Pasadena’s Arroyo Seco and the San Gabriel mountains. 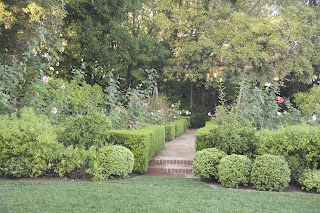 A formal parterre rose garden containing several hundred roses also looks over the hillside path below the house leading down into the Arroyo Seco. istent with native vegetation in the Arroyo. This beautiful area is shaded by native oaks (Quercus agrifolia) and olives. The entire property demonstrates the lasting power of great design. Themselves" study tour visit to this beautiful estate. It was a beautiful place to end our great weekend! 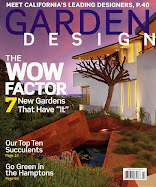 yet have their "picture ready"
make the gardens healthy and sustainable as well as the photogenic elements! tell us all the details of what this project involved! This estate is worth a visit-see Heather's events for a tour opportunity in May! tour and please convey our thanks to the owners for letting us visit! As a lover of well designed gardens and living on a small tropical island where the vegetation win out every time, it is a pleasure to see such structure and beauty in a garden of that size. Being able to turn back the clock and return the residence to its former glory is a feat in its own right and a joy to behold. A wonderful place to lived in. The design looks wonderful and excellent even its old I adore this place much. From improving your grades in school to your play on the soccer field to just kicking back and having a good time, online gaming have so much to offer! In this article, we share ideas to help you find great games and rise in your gaming levels. Although playing online games is a very fun hobby, it shouldn't be your whole life. Find other hobbies to participate in. Too much time spent on online games can be unhealthy. You have to make sure you do other hobbies and activities too. Addiction to online games is a disease which affects many today. You may want to make an area in the basement or set aside a room for your kids to play their computer games. Online Games can be extremely loud, and you probably want some peace from time to time. A game room can have a lot of benefits for your family. When the gaming industry moves ahead, so do the gamers. Gamers expect low prices, instant access, and a large selection. When a new game releases, try waiting a few months. The prices of online games periodically get slashed as games loose their newness factor. Ask for suggestions from the game store employees about games you will like. A lot of people like different kinds of video gaming, you should look to branch out. You will find that the clerks can offer a variety of recommendations that you can enjoy for many happy gaming hours. Check out ratings when buying games for children. These games are rated for a reason. Any game with ratings like A or M are totally inappropriate for children. Check the website of the ESRB to learn more. The world of video games gets bigger and better over time. But there are many choices to make where gaming is involved. This article has helpful advice for both players and parents. Follow the recommendations presented here to learn how to choose and purchase online gaming with confidence.